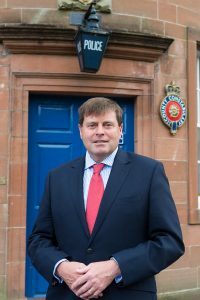 Cumbria’s Police and Crime Commissioner, Peter McCall, is pleased to attend the Cinnamon Network partnership launch, at Carleton Hall, Penrith on Thursday 25 May. The Cinnamon Network will be launching an innovative partnership between Cumbria Police and Crime Commissioner and churches in the region to help vulnerable people within Cumbria. This new partnership aims not only to ease that strain on police services, but also to provide a more sustainable and effective way to support those in need. Police Crime Commissioner Peter McCall and Chief Constable Jeremy Graham will be joined by local church leaders and representatives from the Cinnamon Network to launch the partnership. Through the partnership, Cumbria Police and Crime Commissioner will fund three micro-grants of £2,000, to enable churches within the region to establish social action projects that tackle key issues faced by the community. Churches can choose from a list of tried and tested, best practice Cinnamon Recognised Projects that can easily be replicated. Cinnamon Network has been working with police forces and churches across the country to support community transformation through the delivery of church-based social action projects. With an established reputation in the community, access to resources and a ready-made network of volunteers, churches are well placed to serve their community. According to research carried out by the Cinnamon Faith Action Audit in 2015, faith groups contribute at least £3 billion worth of social and welfare support to the UK every year, helping 48 million beneficiaries in the process. Matt Bird Founder of Cinnamon Network said: “Rarely have there been times of greater social need in this country and individuals needing help. This partnership offers a chance to address needs on a local basis, which churches are well equipped to do as they serve their local communities.